From time to time, we bump into beautiful and unexpected discoveries that will give us a plethora of pleasant memories. Whether it’s a hidden local restaurant or an undervalued overlooking lookout, every surprise makes our trips a whole lot sweeter as well as gives us another reason to come back. 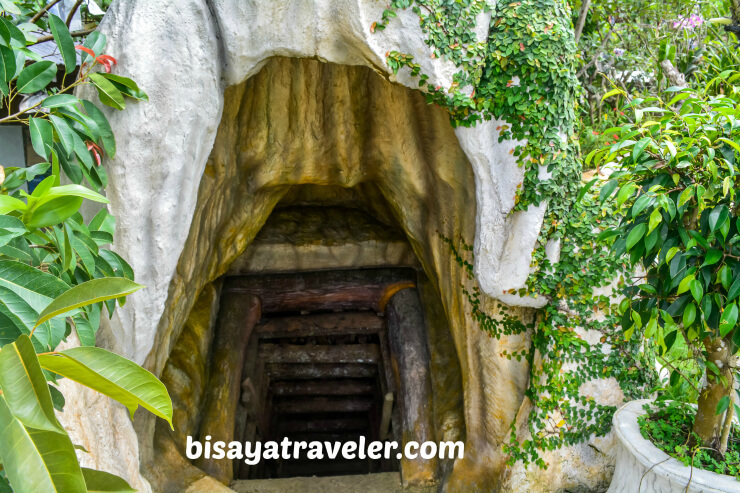 And in my journey as the Bisaya Traveler, there hasn’t been a shortage of memorable and wonderful surprises, and one of them is Argao’s Coal Mountain Resort. The resort wasn’t really in my itinerary, when I was planning my last visit to Argao. 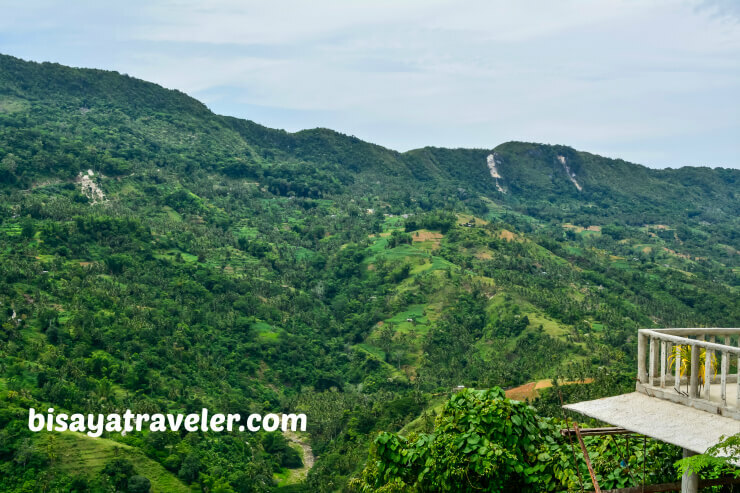 While I’ve heard quite a lot about this mountainous cove, I was so zeroed in on visiting the town’s remote rice terraces that I didn’t even bother checking it out online. But after taking in the scenery of the town’s lush paddies, I realized that there was plenty of time left before my next stop. 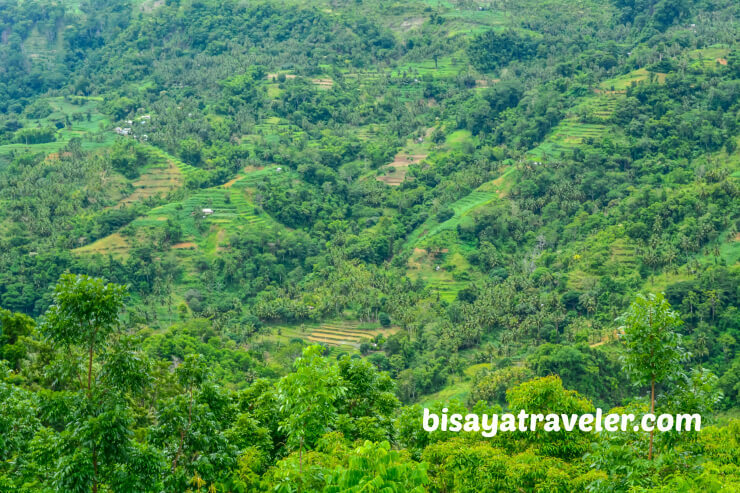 So, without any hesitation, I asked Elias – a trusted habal-habal driver and guide in Argao – to drive me to the mountain resort that the town locals have been praising endlessly. I didn’t do any research prior to this trip, meaning I didn’t have a clue what Coal Mountain Resort looks like. I wasn’t expecting much, quite frankly, and I was just planning to take a quick break there. Little did I know, the resort is a scenic park full of amazing sights and exciting amenities. At first glance, I wasn’t overly impressed with Coal Mountain Resort. The resort’s entrance doesn’t look as appealing as some of the resorts that I’ve been to in Cebu. Furthermore, there are some dull-looking concrete rooms located outside the entrance. But, as soon I stepped inside Coal Mountain Resort, my views of the resort changed in an instant. 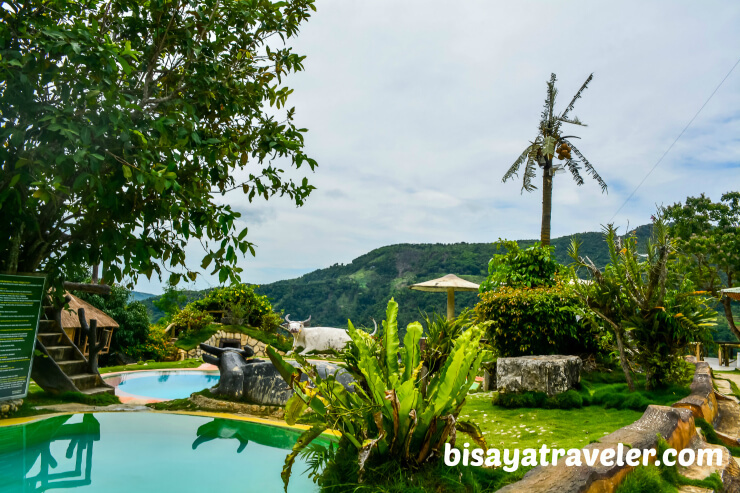 Not only was I swept away by the fresh mountain breeze, but I also got treated to a beautiful view of a heart-shaped pool with the lush mountains of Dalaguete on the backdrop. 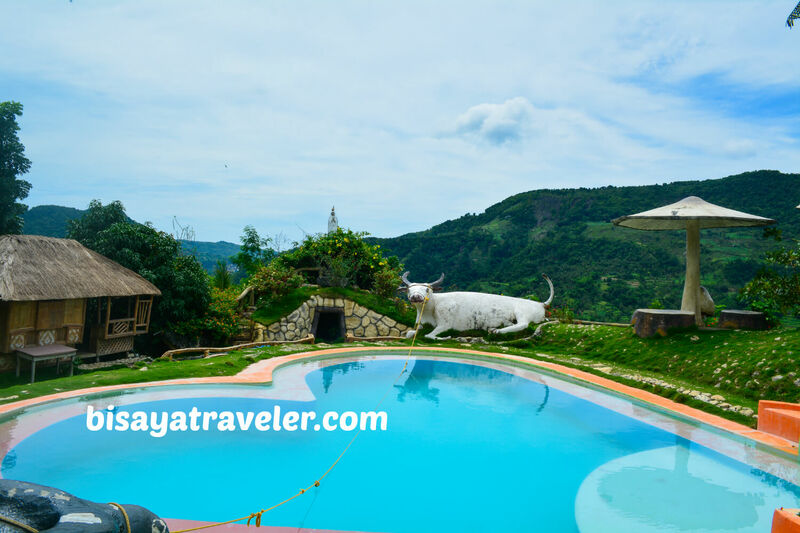 What’s more, there were some huts and a couple of big carabao statues that made the sight even more interesting. Then, we headed to the registration center to pay a super affordable entrance fee of 20 Pesos per person. I literally had no idea where to go and what to do in Coal Mountain Resort since I didn’t do my homework earlier. Thankfully, though, Elias gave me a tour around the resort, and shared some interesting facts about Coal Mountain Resort. I followed Elias, as he went down on the lower part of the resort. Along the way, I saw a handful of flowers, plants and little pine trees. 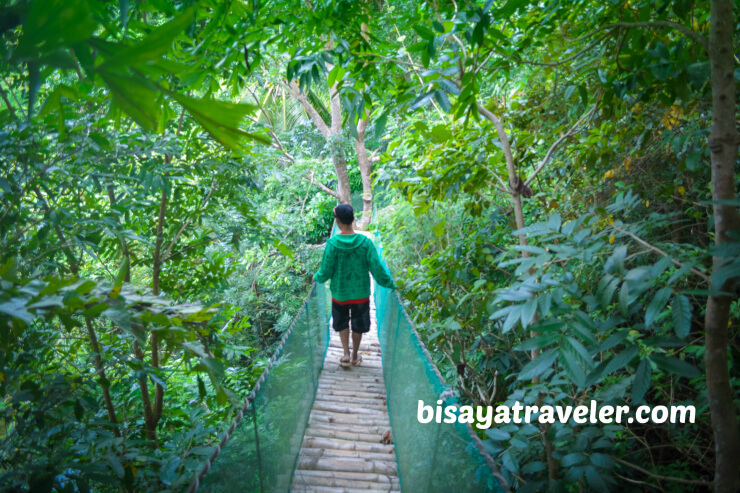 Ultimately, I found myself in the entrance of a wooden walkway that was beautifully built along the towering treetops. As you’d expect, I strolled through this canopy bridge with a big grin on my face. The canopy bridge, though it swings a lot, isn’t as scary as it looks. Yes, it’s a little steep and is made of wood, but the side railing of the entire span is made of ultra durable materials. As far as I know, there have been no reported accidents in this part of Coal Mountain Resort. 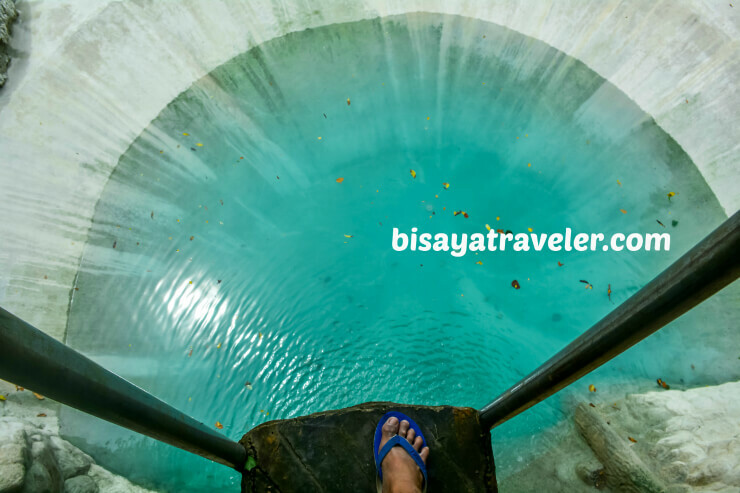 After our relatively thrilling walk on the resort’s wild side, we took a few steps to enter an area with a spectacular man-made waterfall and pool, which are usually filled with fresh spring water from the mountains of Argao. Sadly, the pool and waterfall weren’t available during my visit, as it was undergoing maintenance. Still, it was quite a remarkable sight, and a great addition to the resort’s cluster of facilities. The pool is, in my opinion, very deep and its diving platform is scarily high. 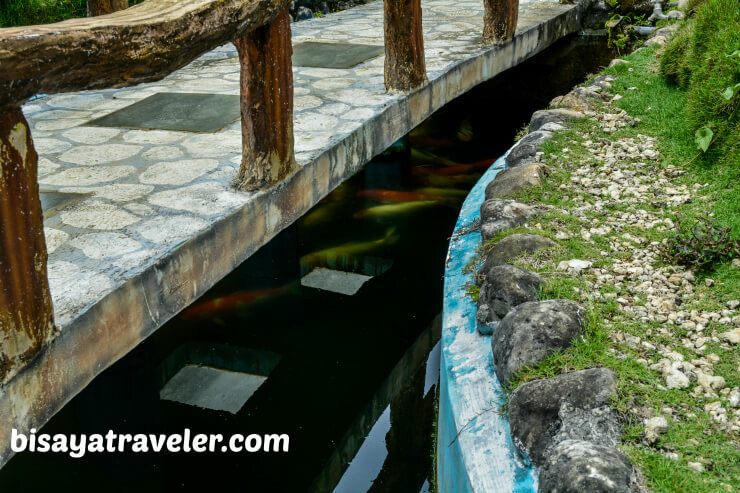 According to Elias, the great and famous adventurist and TV personality Drew Arellano once took a plunge to the pool from the towering diving platform. With no swimming gear on my backpack and water on the pool, I was compelled to get back to the registration center without taking a dip at its remarkable spring waterfall. Hopefully, I’ll get another opportunity to try this pool in the near future. 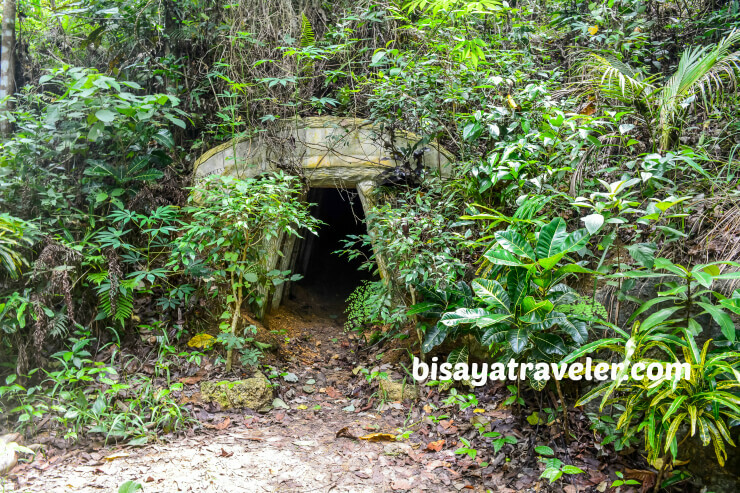 As we were making our way back, we bumped into a tight and small underground tunnel that leads to the area near the entrance of Coal Mountain Resort. 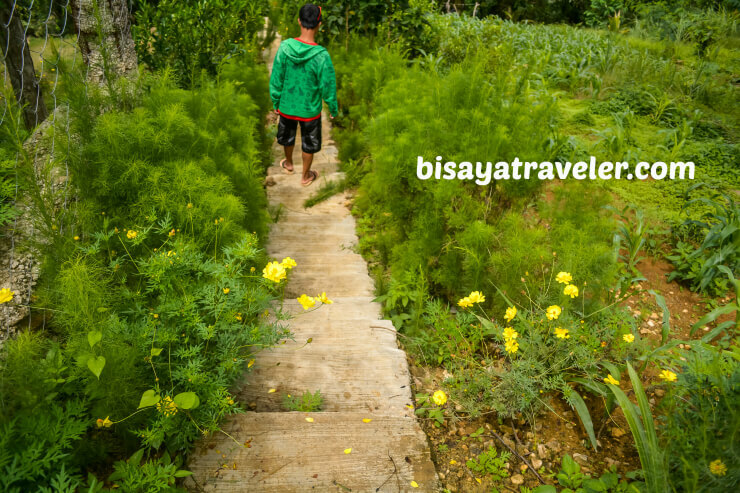 Elias told me that visitors can explore this labyrinth with a guide, headlands and a pair of boots, for only 80 Pesos. Awesome, right? 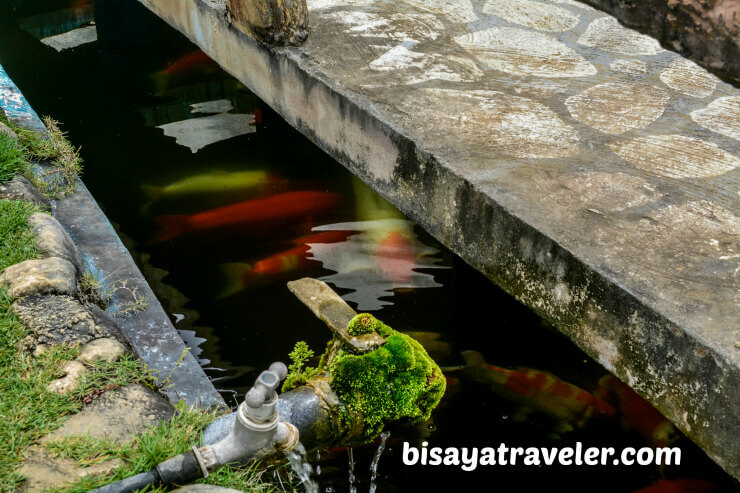 Later on, Elias guided me to the resort’s mini zoo, which houses an array of animals, including monkeys, reptiles, rare birds, and koi fish. I, of course, took a bunch of photos for memorabilia’s sake. Afterwards, I took a breather, and soaked in the dramatic views of the mountains in Dalaguete and Argao. The road to Coal Mountain Resort is a long, bumpy and rough one. It’s approximately 23 kilometers away from the town proper, and it will take you around 30 minutes to an hour to get there. Obviously, I got there with the help of a proficient and welcoming habal-habal driver. 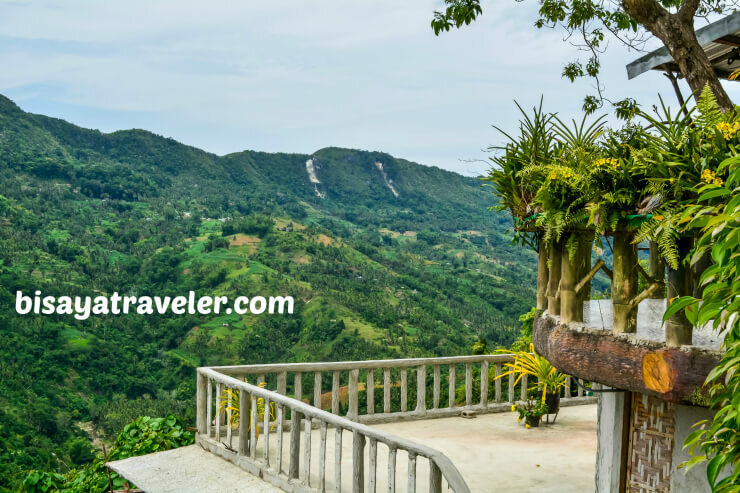 For the most part, fare through habal-habal to Coal Mountain Resort from Argao town proper is 100 Pesos per person (and per way). If, however, you have yet to master of art of riding a habal-habal, you may reach out to Jovy at 0918 965 6081, and ask for their resort’s transport service, either from Cebu City or Argao Town proper. Alternatively, you can contact the folks managing Coal Mountain Resort through their Facebook page. Entrance to Coal Mountain Resort is 20 Pesos only, and you need to shell out a fee of 50 pesos if you want to take a dip at any of its pools. 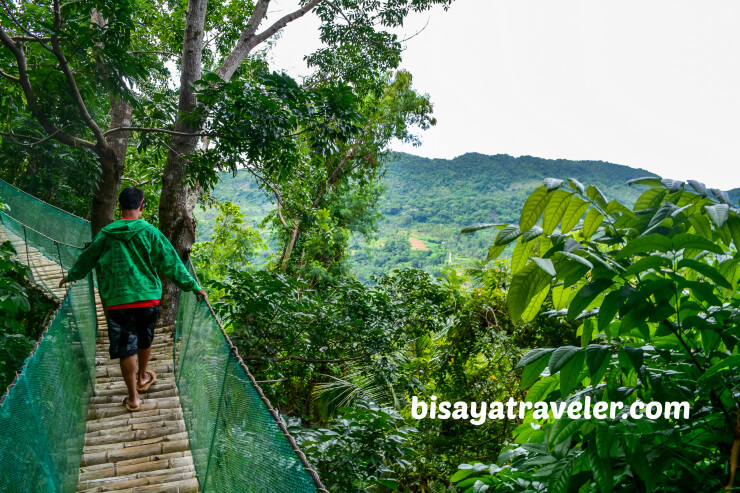 There’s a cable car ride that costs PHP 100 per person as well as a zipline ride for PHP 120 per person. Those who want to step inside the coal mine tunnel will have to shell out PHP 30 to 80 per person. Not a bad deal, right? There’s no corkage fee for anyone bringing food. There’s also a resto bar with a karaoke machine where you can sing your heart out. And by the way, if you need to acquire the services of Elias, feel free to text or call him at 0908 778 8701. You really owned an amazing eye to find a perfect place to unwind. I will certainly add this to my bucket list. Thank you for the tips and the travel guide as well. Hi Ace and Demi, thanks for dropping by. I hope you enjoy your visit there. And please say my regards to Elias.